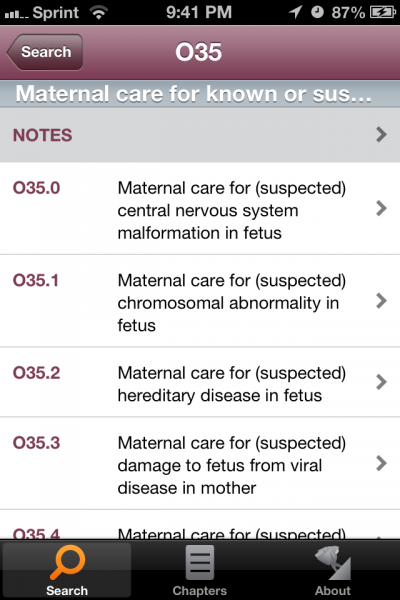 We now have a list of the best ICD 10 apps for iPhone and Android. In our list, we found that there are four free apps that do the job very well. As health care providers, we love to classify things. In order to provide one classification system, the World Health Organization (WHO) provides a medical classification list under the title of International Statistical Classification of Diseases and Related Health Problems. This is known to most of us as ICD coding or classification. As our understanding of diseases, symptoms, and exam findings become more clear, the classification becomes more complicated or simplified and new versions or revisions are made. The 10th revision is still the newest edition, although the United States still uses the 9th revision (with a transition to ICD-10 deadline of October 2014). Classification is important for health information communication and medical billing, but with thousands of codes, you need a resource to find the ICD code for the rarer (or maybe even the slightly less than common) health issues. 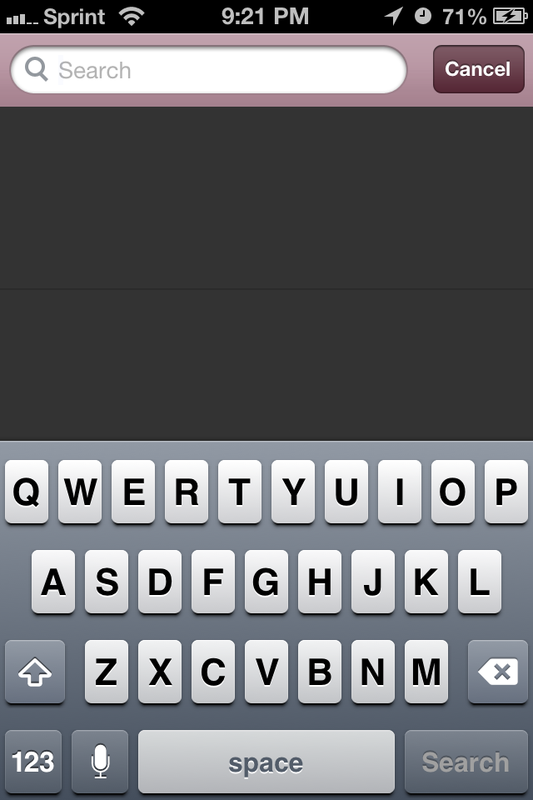 The default home page is the search feature. 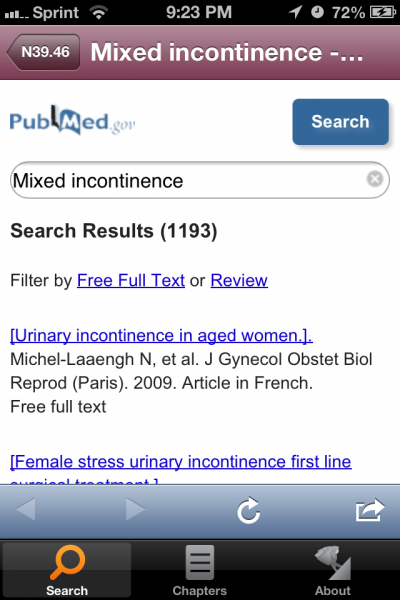 By typing in a symptom, disease, finding, etc., you are brought to a list of possible matches. Once you have chosen the “best choice” from the list of possible matches, you are brought to a description of that particular entity. The content may be a short description and/or it may include important notes about sub-ICD codes (the numbers following after the period) for that entity. If subcodes exist for the ICD-10 code, they are listed. You can choose one, browse its description and easily navigate back to the previous screen. The last screen for an ICD-10 code brings you to the succinct description of that code and also provides an icon to Find Articles. 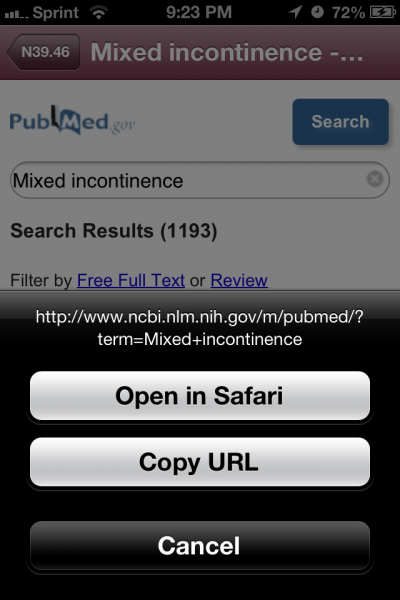 When you select Find Articles, the app opens an intra-app browser linking to PubMed and automatically searches the ICD-10 code. Additionally, you can refresh the intra-app browser, change the search term, as well as tell the app to open the search in Safari. There is also an option to copy the URL. If a Table of Contents is more your speed, the 2nd section of the app allows you to find the ICD-10 code this way. The Chapters section lists all 21 chapters of codes. In order to find your code, choose the appropriate chapter (generally organized by organ system or topic). Each subsequent choice is determined on your query with further and further narrowing until you have just the right code. Just as with the search function, you are rewarded for your tenacity by a short description of the code and option to find articles. The final section provides proprietary information and an app description. Any healthcare provider needing ICD-10 codes for patient encounters. 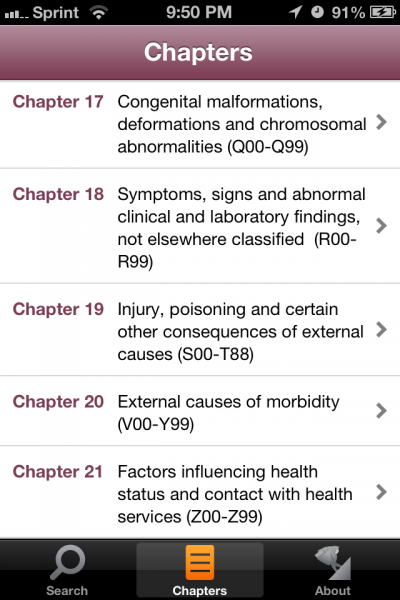 Currently, this is not useful in the US, since we do not use the ICD-10 system yet. If you are in a country of early adopters, this is your app. None, unless you need to clarify diagnoses for billing purposes or preparing for super-medicine Jeopardy. The ICD Sherpa app is an easy-to-use search and table of contents tool for finding ICD-10 codes. 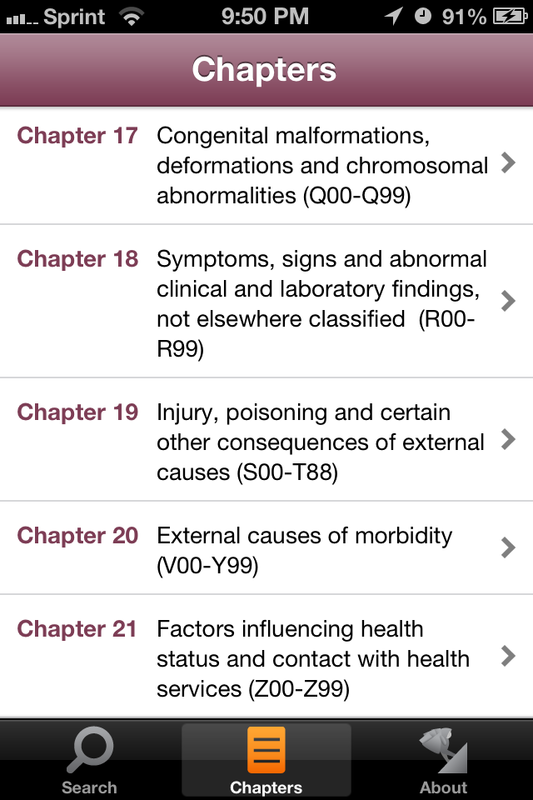 This app is most useful in health-care systems who already use the ICD-10 system. By the time the United States gets around to the ICD-10 transition deadline, the ICD-11 version may be the upgrade from ICD-9. ICD Sherpa is available for the iOS, but not the Android platform. 2. Multimedia usage – 4. Does not use pictures, videos, or splitscreens. 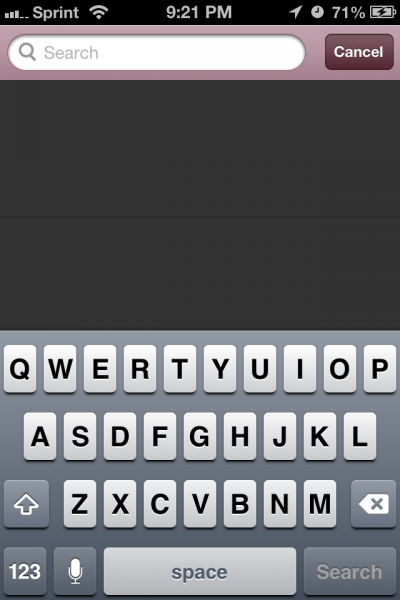 Does utilize smooth transitions and intraapp browsing. 4. Real world applicability – 3. Depends on your patient population, your work, and your health care system. This post does not establish, nor is it intended to establish, a patient physician relationship with anyone. It does not substitute for professional advice, and does not substitute for an in-person evaluation with your health care provider. It does not provide the definitive statement on the subject addressed. Before using these apps please consult with your own physician or healthcare provider as to the apps validity and accuracy as this post is not intended to affirm the validity or accuracy of the apps in question. The app(s) mentioned in this post should not be used without discussing the app first with your healthcare provider.